One of the few times I relax while on holiday is when I stumble across a place that is just asking me to sit down and read a book to soak in the atmosphere. Normally, but not always, these places are quiet and outdoors with a good view. Despite a lot of people not rating the city highly, there were so many scenic places in Auckland I was spoilt for choice on where to stop and read! I’ve read many comments on how travellers weren’t big fans of Auckland, but it was there I kept getting that feeling of ‘I want to sit down and read here’. 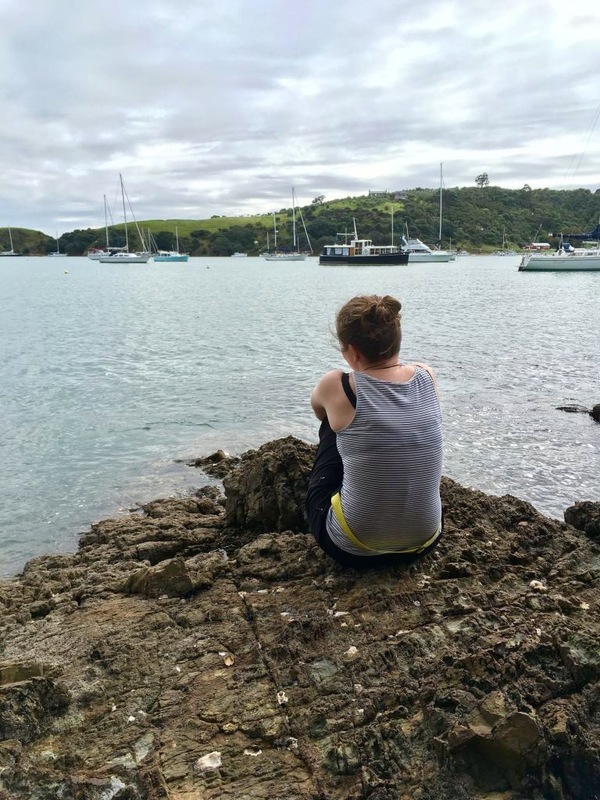 In an attempt to point out some of the best parts of an underrated city, I thought I would compile a list of my favourite scenic places in Auckland that made me want to sit down with a book. With only 3.5 days in Auckland during my 2 weeks in New Zealand, there’s no way I’ve found them all, but these 5 particularly stood out. If you’re ever in New Zealand, make the most of my list but also head out for yourself with a book in your bag to see what you find! And if you’re not the kind of person to take a book out, 1) sort out your priorities 😉 or 2) take a picnic and/or friend instead to enjoy these scenic spots! 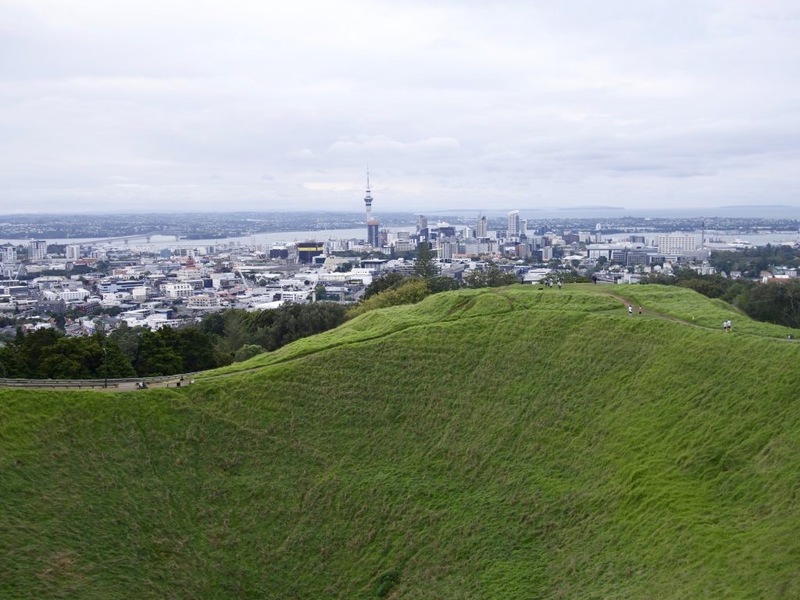 Mount Eden is one of the more well known scenic places in Auckland, often mentioned in tourist guides as a place to get views over the city. Walk 20 minutes to almost the top, then circle around to the side of the crater closest to the city for lovely views out across the city without tourists tripping over you. Pick a spot in the grass where you can see both the SkyTower and Rangitoti Island, then relax. Before or after checking out Auckland Museum, make the most of its delightful setting in the middle of wide open lawns. If it’s a weekend there might be sporting events nearby, and if it’s sunny you probably won’t be only one camped out there! Great if you want to get outside to read but it’s been raining recently, as there are benches that don’t collect much rainwater. Pick one of the seats circling the fountain for background noise of flowing water, looking out on the lawns and palm trees of the rest of the park. Not as quiet or secluded as other options, but perfect if you go near sunset or at night. You have a couple of options of where to sit. Walk past the cafes and bars and continue on until you reach a water feature and basketball court. On your right are several enormous old buoys, bathed in gentle lighting from the walkway above and just the right size for sitting on. There are also giant benches with lovely views of the city skyline. Or, carry on walking to find a seat at the edge of the harbour, looking out over the boats. Not technically in Auckland, but close enough. After arriving on the ferry follow the scenic route to Oneroa village then either head up the hills until you reach a bench with a view, or explore a little way along the rockpools. If you do the latter, keep a close eye on the tides. You’ll get great views out over the harbour with either destination and there’ll be hardly anyone else about. I hope this list of scenic places in Auckland has been helpful and inspired you to not just dismiss Auckland as another boring city. It’s got its beautiful spots too! 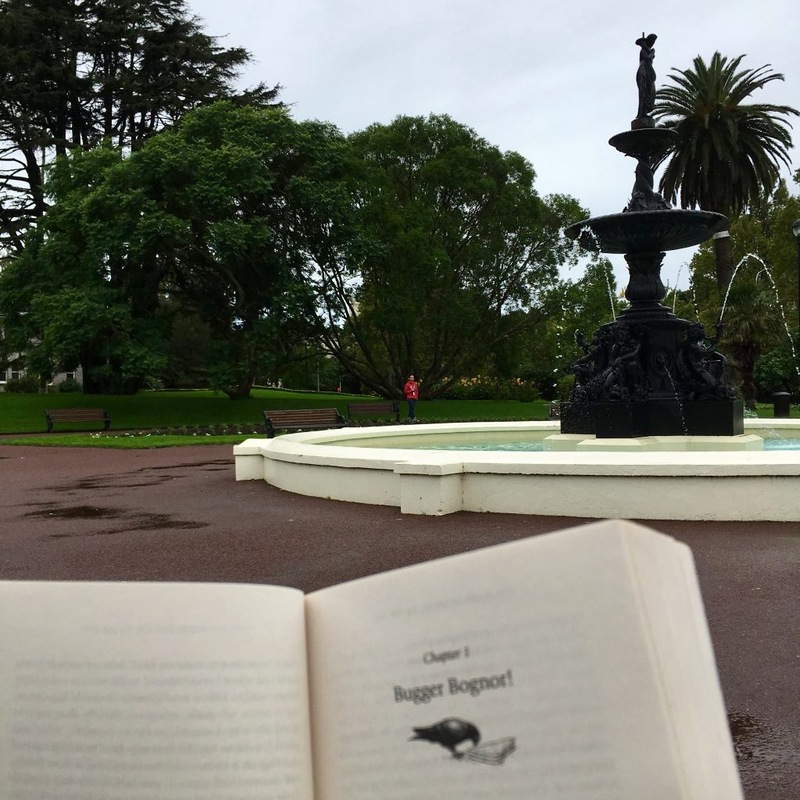 Do you have any favourite places to read you’ve found on your travels, in New Zealand or around the world? Tell me in the comments! If you liked this, check out more literary locations around the world! Great read! I love Auckland, but really want to see more as I have only ever been for one day on a cruise. I need to go back, thanks for the tips! Such a lovely theme for a post, really like it!